The gorgeous new track off Röyksopp‘s upcoming full length album ‘Senior‘ titled The Drug sounds organic and aural pleasure. The song is getting airplay like this one from Radio1. Listen from Nick Grimshaw‘s show, the song located just after the 1 hour 42 min mark. Keeping this Weeklies post short. Here I have the congregation of 12 great tracks in preparation for the weekend. Yeah, I think ahead. Oh and another thing – Be safe everyone! DOWNLOAD | Weeklies – Who’s Your Daddy? Over at Crushed Tin Box, I heard this really good Thin White Duke remix of Röyksopp featuring Karin Dreijer (The Knife) of What Else is There. 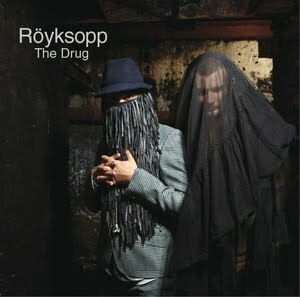 If you happen to be uninformed,Röyksopp is an electronic and chillout music duo based in Bergen, Norway.